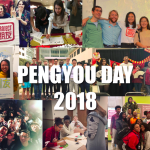 The following is a reposted letter written on Tuesday, January 17th, 2017 by Project Pengyou’s Founder, Holly Chang, to our friends and supporters. In honor of Dr. Martin Luther Jr.’s legacy and because we feel this message still resonates in 2018, we’ve decided to share it again. We hope it brings you love and hope to start off your year. Yesterday was a day we remembered and celebrated the legacy of Martin Luther King, Jr. It is towards the goal of cultivating both power and love, that we began to organize a global community of U.S.-China bridge-builders, to foster friendships and defend against a deep injustice of humanity – a war between two powerful nations. 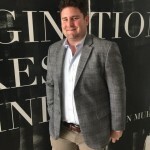 While war may not seem imminent at all times, Project Pengyou’s efforts of building and organizing this community have been intentionally proactive, because the alternative course would be a tragedy. 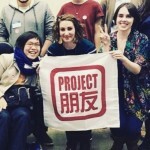 In just over two years, with the support of the Ford Foundation and too many friends and supporters to name, not to mention the leadership of amazing young Americans and Chinese, we launched 50 Project Pengyou chapters in over 30 states to create spaces on campuses for cross-cultural communion, and to promote people-to-people relations between the two most powerful nations on earth. I am in awe and humble gratitude for what we have accomplished together. But the work of bridge-building, it seems, is far from finished. To pass the New Year in 2017, I decided on a whim to attend a retreat at the Blue Cliff Monastery in Pine Bush, NY, established by a Vietnamese Zen Buddhist monk named Thich Nhat Hanh. 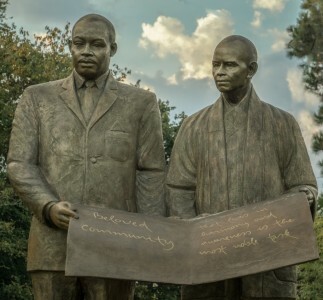 It was there I learned of the special friendship between Thich Nhat Hanh, a gentle Buddhist leader from Vietnam, and Reverend Martin Luther King, Jr. It was also there that I first learned that Dr. King’s “Dream” of brotherhood, extended beyond America to Asia, namely Vietnam. Some may remember, in June of 1963 in the midst of bloodshed and war, a peaceful Buddhist monk named Thich Quang Duc sat quietly in full lotus position on a busy street in Saigon and set himself on fire. Quang Duc died. 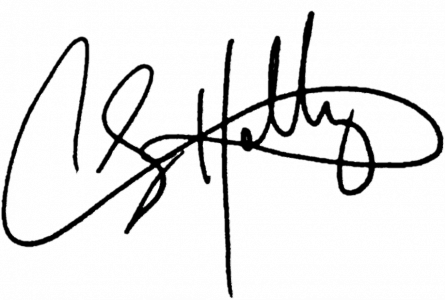 His goal was to bring attention to the suffering of the Vietnamese people in the war. And he did. Journalists the world over reported on his act, awakening a global conscience around Vietnam’s pain. In studying Dr. King’s and Thich Nhat Hanh’s writings, I am reminded that war and military hostility have only one certainty, and that is to create bloodshed and suffering in humanity. I have come to fully embrace the notion that our enemies in a conflict are not men, but intolerance, hatred, and prejudice. So if we must fight, we should fight our real enemies. 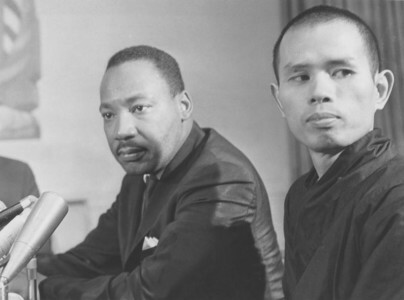 Prior to his speaking out in public about Vietnam, Dr. King was so moved by Thich Nhat Hanh’s work that he nominated him for the Nobel Peace Prize. After that speech at Riverside, King was criticized for being anti-American by both blacks and whites; he was accused by his friends of mixing peace and civil rights and hurting the cause of his people. Dr. King’s message was a universal one, not only applicable in Montgomery, or in wartime Vietnam, but also across the United States today. At the end of last year, the U.S. election exposed our nation’s spectacular capacity for divisive and polarizing rhetoric. Regardless of your political leanings, the discourse in every corner of American society displayed tendencies to demonize the “other’s” views. What is the cure to division in our community, nation, and the world, when the act of standing up for one’s belief concurrently offends or demonizes another group? How do we harness the energy and best heroic intentions of activists who believe in something greater than themselves, without unleashing self-righteousness, pride and arrogance, escalating to animosity and oppression towards others? How do we communicate and live up to our deepest values while resisting the temptation for hostility towards those who do not speak our same language? How do we find peace amid two opposing communities, who each seek justice and protection for their own people and thus resistance towards each other? Isn’t one-sided justice the seed of all pain and war? Is our strive for justice and defense of any group a pre-cursor for aggression with another? Is anger a necessary resource for change? Is gratitude the antidote to anger? And if so, how will we reside in the space of gratitude without diminishing our desire for much-needed social change? If U.S. citizens from different political leanings can’t agree on what America should look like, is there hope for Americans and Chinese to forge an equal and collaborative relationship, with our vastly divergent languages, histories and values. Do any of us really have the power to create change? And can we call for action without adding energy to the spirit of loathing and social violence? These are questions that I have grappled with as a pacifist, activist, and bridge-builder. Our imperfect and burning desire to feel right amid diversity in perspectives, cultivates inherent hostility everywhere — in the hearts of Americans towards each other, between Americans and Chinese. They are all seeds of potential violence, stemming from feelings of oppression and the need to be made whole. These struggles are both philosophical and practical and beg a new framework in our pursuit of Dr. King’s vision of social justice. As Pengyou-men, we travel to distant lands, and we experience the difficult and sometimes lonely process of navigating complex and nuanced dilemmas and contradictions when languages and perceptions differ dramatically. In doing so, we widen our humanity and gain capacity to forge new friendships. This challenge is what defines our unique journey. Dear Pengyou-men, hope abounds in this beloved community. There is hope when you tell your sacred stories and move the hearts of a new audience. There is hope when you can be fully present, in anticipation of an “aha” moment. There is hope in your actions, when you pay it forward on Chinese New Year, or any time of year so that others can share in your grace. There is hope when you listen deeply to one who protests, and you recognize their pain as your own. Thich Nhat Hanh says, “The primary meaning of love is friendship.” So if Dr. King’s notion of justice and peace hinges on the harnessing of both power and love, then justice and peace hinge on the friendships we build. While status and positions bring the appearance of great influence and resources, let us remember that those with the greatest power to truly affect our own lives need no titles or fame. Each and all of us have more power than we know to uplift, destroy, or heal those around us. It is a matter of choice how we decide to spend our limited time. So let us not buy into the hype. In moments of greatest conflict and uncertainty, engagement is the greatest equalizer and source of our power; friendships are our source of healing and hope. ← Thank You to our 2017 Interns!